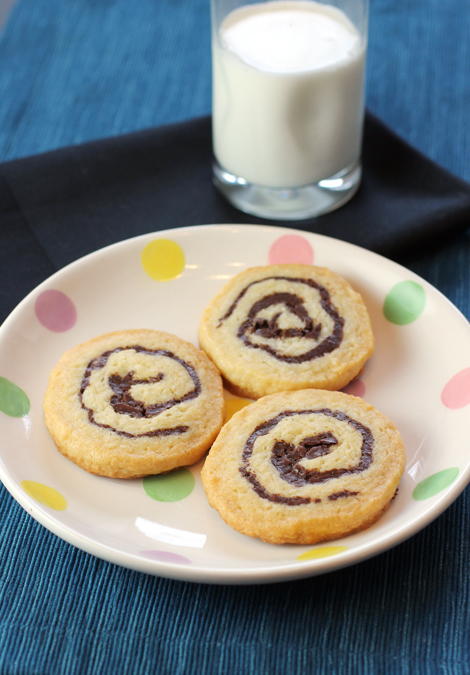 Chocolate and coconut all swirled into one pretty cookie. When I was a kid, I remember my Dad buying me a fanciful pinwheel. It spun as you blew on it and its clear plastic rod hid a trove of tiny colorful candy balls inside. It was truly two treats in one. Just like these cookies — which are pinwheels of a different sort. The kind where you get both chocolate and coconut in one delightful bite. “Chewy Coconut-Chocolate Pinwheels” is by Martha Stewart. With their two-tone design and festive swirl, they a perfect treat at this time of year.